In most western cultures, moving one's head up and down is understood as an expression of agreement, while moving it from side to side conveys disagreement. However, this nonverbal communication is not universal. You should be careful when nodding to mean "yes" and shaking your head when you mean "no" in Bulgaria, as this is one of the places where the meanings of these gestures are the opposite. Balkan countries such as Albania and Macedonia follow the same head-shaking customs as Bulgaria. It's not totally clear why this method of nonverbal communication evolved differently in Bulgaria than in other parts of the world. There are a few regional folk tales—one of which is fairly gruesome—that offer a few theories. When considering how and why some of Bulgaria's customs came to be, it's important to remember how significant the Ottoman occupation was for Bulgaria and its Balkan neighbors. 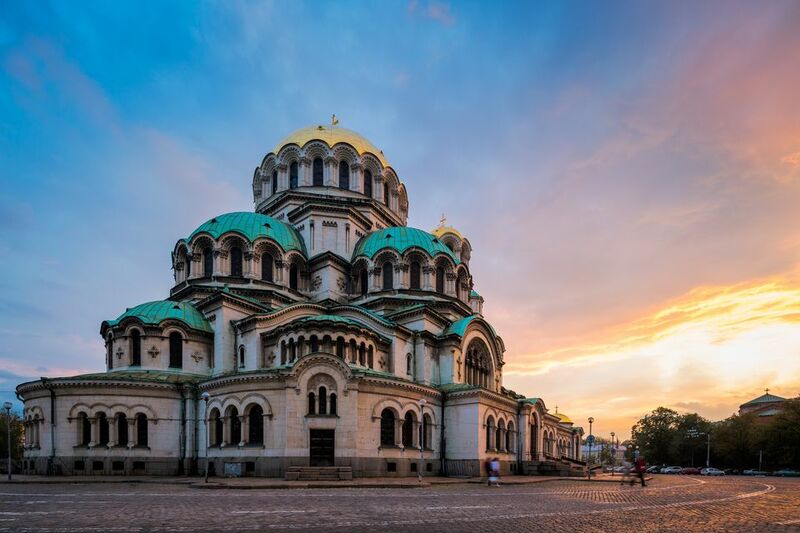 A country that existed since the 7th century, Bulgaria came under Ottoman rule for 500 years, which ended just after the turn of the 20th century. While it is a parliamentary democracy today, and part of the European Union, Bulgaria was one of the member nations of the Soviet Union's Eastern Bloc until 1989. The Ottoman occupation was a tumultuous period in Bulgaria's history, which resulted in thousands of deaths and much religious upheaval. This tension between the Ottoman Turks and Bulgarians is the source of the two prevailing theories for Bulgarian head-nodding conventions. This tale is considered something of a national myth, dating back to when the Balkan nations were part of the Ottoman Empire. When Ottoman forces would capture Orthodox Bulgarians and try to compel them to renounce their religious beliefs by holding swords to their throats, the Bulgarians would shake their heads up and down against the sword blades, killing themselves. Thus the up-and-down head nod became a defiant gesture of saying "no" to the country's occupiers, rather than converting to a different religion. Another less bloody version of events from the Ottoman Empire days suggests the head-nodding reversal was done as a way to confuse Turkish occupiers, so that "yes" looked like "no" and vice versa. Whatever the backstory is, the custom of nodding for "no" and shaking from side-to-side for "yes" persists in Bulgaria to the present day. However, most Bulgarians are aware that their custom varies from many other cultures. If a Bulgarian knows he or she is speaking with a foreigner, he or she may accommodate the visitor by reversing the motions. If you are visiting Bulgaria and don't have a strong grasp of the spoken language, you may need to use head and hand gestures to communicate at first. Just be sure that it's clear what set of standards the Bulgarian you're speaking with is using (and which they think you are using) when conducting everyday transactions. You don't want to agree to something you would rather refuse. In Bulgarian, "da" (да) means yes and "ne" (не) means no. When in doubt, use these easy-to-remember words to make sure you're clearly understood.